Ricky Rowlands will make his professional debut two months sooner than planned with an appearance on Sanigar Events’ show at the Merthyr Leisure Centre on July 11th. The welterweight from New Tredegar in the Rhymney Valley was originally due to embark on a paid career in September on 3B Promotions’ first show, the promotional company set up by Jamie Arthur. 19-year-old Rowlands trains in Rhydyfelin under Jamie Arthur and the former fighter has linked up with his old manager Chris Sanigar to fastrack his boxer’s debut. Arthur said, “Chris Sanigar was my manager for the latter part of my career, he’s a good guy and I want to help him to make his show a success. 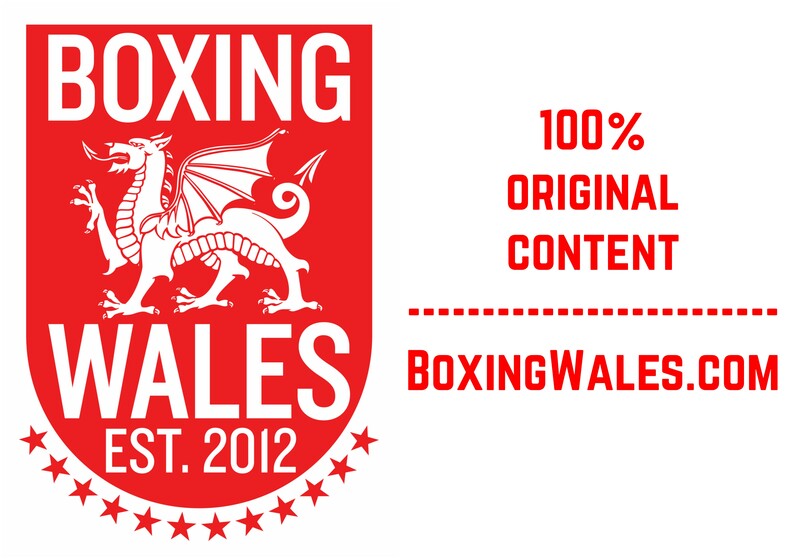 At the end of the day, we all want Welsh boxing to be more prominent again. So, the more shows we can put on, the better. I’m supporting Chris and I’m sure he’ll support me when I put my show on as well. That’s the way it should be, rather than fighting against each other. “I’m looking at promoting my first show in September but Ricky’s already been training for a little while now. A good opportunity came up to put him on the show in Merthyr and there’s exposure because it’s on Eurosport. It’s not a rushed decision, I just want him fighting and winning as soon as we can make it happen.” Arthur enjoyed Welsh and Commonwealth title title success in his own career that ended three years ago, however, he didn’t win the British title which he challenged for on three occasions. Rowlands won seven Welsh titles and two British titles in his 53 fight amateur career and Arthur believes that Rowlands has the potential to eventually go one step further than him and win a British title as a professional too. He said, “Ricky would live in the gym if he could, if he carries on like this then he definitely has the potential to be a British champion. It’s all down to him, he’s always willing to learn and listen. As he’s getting older and progressing, you never know what he can achieve but it’ll be an exciting journey. “I want to nurture him, bring him along slowly because he’s my first amateur to turn professional. I want to do things right for him and other people will see that we can do a good job. I want to bring him along, up the pro ranks to be as good as he can be. “We haven’t decided on his opponent yet but is there any benefit by going out and blowing someone out in one round? Probably not. So, as with any show, at any level, people want to come and watch good fights. 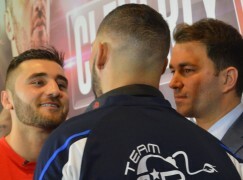 They don’t want to come and just see someone who looks like they’ve been dragged out of a pub fighting a hot prospect.” Much is made of the transition from the amateur ranks to the rough nature of professional boxing. Arthur, a former Commonwealth Games gold medallist, endured that change 11 years ago and he believes Rowlands is equipped for it. He said, “With regards to amateur boxing, when they first change over they are a little bit more erratic but to be honest, Ricky hasn’t got a style where he doesn’t stop jumping around the place. I want to try and keep the parts of his amateur style that saw him achieve what he did and just work on adding things to his style like maybe slowing certain things down. “Ricky’s fit and strong but now we’re going to try and perfect things a little bit better, getting him to understand his moves and how he’s setting up punches and avoiding shots. Now, we’ll spend a lot of time on the technical aspects of it. We’ll be doing strength and conditioning with Liam Chambers, get the core and man strength up, so he’s equipped to do what we ask. It’s not so much of a massive change now, we just have to try polish things off.” Not only will Rowlands have to adapt to a change inside the ring, the business of boxing outside of the ring will also be new to the debutant. However, Arthur has taken steps to alleviate the financial pressures that come with making a living from professional boxing. He said, “I’ve given him a job now, so he’s in a position where he’s earning a little bit of money and he isn’t reliant on having to go out there and earn money straight away. I could’ve chucked him in at any time, signed him up and got him a fight straight away but I wanted to make sure that he’s ready, I want him to perform. “My advice has been to keep his feet on the ground, be patient and train hard. If you’re fit, you can fight but if you cheat in the gym, that’s when you get found out. He’s a dedicated enough kid and level headed enough to understand what he has to do to be a success.” The show will be headlined by Dai Daives v Robbie Turley for the Welsh featherweight title. In support will be Frankie Borg (8-2, 3KO), Craig Kennedy (8-0, 5KO), Alex Hughes (1-0, 1KO), Stuart Brewer (1-0), Tony Dixon (4-0, 1KO), Lewis Patterson (3-2, 1KO) and Rhys Jones. £30 and £50 tickets for the show are available from Sanigar Events and Bristol Boxing Club on 01179496699. For more information, visit: www.westcountryboxing.com. It will be broadcast on Eurosport.